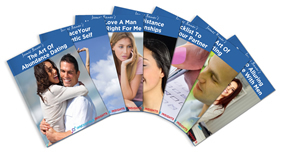 An Irresistible Insight Report is a small guidebook on a super-specific topic that will help you with your relationships. These Irresistible Insights are all available instantly to members of the Irresistible Insider program. If you are not a member of the program they can also be purchased individually. Click here to see the full list of Irresistible Insights. We continuously add new topics to our library of Irresistible Insights.